Few painters are as well known and admired as Paul Cézanne (18391906), though his reputation as a groundbreaking artist came largely after his life. 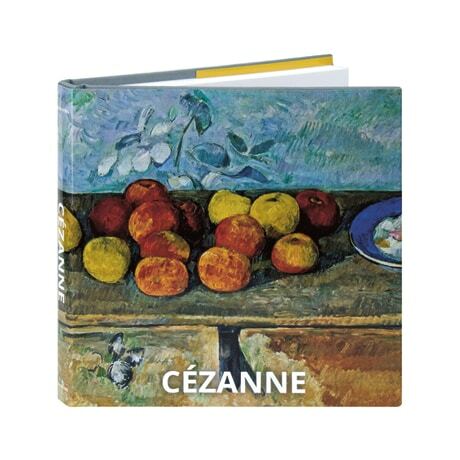 His subjects—portraiture, figure studies, landscapes, and still lifes—had been popular since the Renaissance, and yet the way in which Cézanne transformed these traditional motifs into an entirely new kind of painting, presaging cubism, proved enormously influential to artists like Matisse and Picasso, and remains one of the great achievements of modern art. Boasting outstanding color reproductions on nearly every page, this art book is both affordable and compact (measuring just under 7½ inches square) yet offers a surprisingly wide-ranging survey of this important modern artist, with an introductory essay, titles, and captions in six languages.